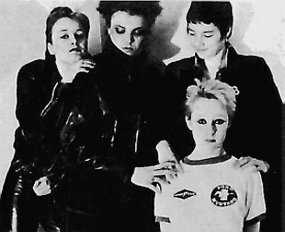 Formed 1978 in Zurich KLEENEX were – beside the english bands the SLITS and the RAINCOATS – one of the first three woman bands of the punk-area as well as the first Swiss-Wave export-hit. In the same year the women decided to record their first four songs (‘Hedi’s Head’, ‘Nice’, ‘Beri Beri’, ‘Ain’t You’) as a single for their friends. One of it carried the EP forward to England and as the disk arrived to John Peel, he played it over and over on his radio-show. 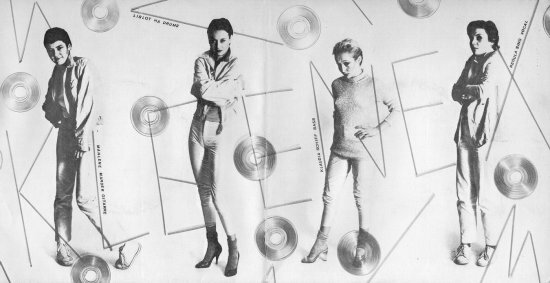 With the novel mixture from art-school, glamour and punk-noise it succeeded KLEENEX to inspire Londons music-critic. The band got a record-deal with ‘Rough Trade UK’ and the new release of the EP entered the UK Charts! 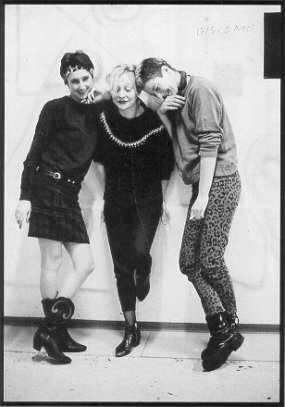 Tours with the RAINCOATS and SPIZZ ENERGI followed and KLEENEX became a part of the English ‘Rough Trade family’ with GANG OF FOUR, LORA LOGIC, SCRITTI POLITTI, RED CRAYOLA and other musicians. Also in 1978, publication of the 7″-Single ‘You’ / ‘Ü’, produced by Mayo Thompson (Red Crayola) and followed of innumerable concerts in Europe. The live versions of ‘Hedi’s Head’, ‘You’ and ‘Nice’ are published 1979 on the german-sampler ‘Into The Future’. Then in 1980, due to a threat by Kimberly Clark (which had the copyright of the name KLEENEX) with a lawsuit, the women saw themselves forced to change the bandname. LiliPUT was the answer to the forced name-change. ‘Gulliver was bound’ and the bands music developed in the direction of trend-independent experiments. If the KLEENEX songs were shaped by a rudimentary art-punk sensitivity, the LiliPUT songs were characterized more by pop-elements. So for example the 1980 published LiliPUT single ‘Die Matrosen’, which became a underground hit and the title-track was later covered by BOOK OF LOVE. 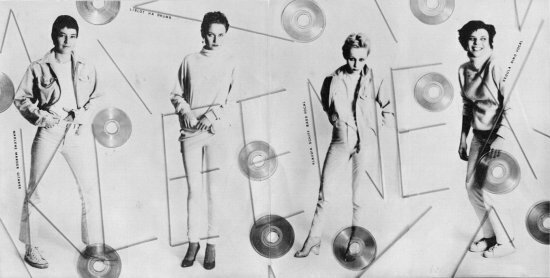 Then in 1981 the publication of the 7″-Single ‘Eisiger Wind’ / ‘When The Cat’s Away Then The Mice Will Play’, which caught the attention of noted American rock critics Robert Christgau and Greil Marcus, who praised the innovative trio. Different personnel changes followed, whereby Marlene Marder and Klaudia Schiff always built the core of the band. The songs became more experimental and the saxophone to a main instrument. 1982 – four years after their first single – the group finaly released their first full-length album ‘LiliPUT’ for Rough Trade. A year later a further single (‘You Did It’ / ‘The Jazz’) followed as well as the album ‘Some Songs’. One year later the group split up and their life as rock-legends began. Thus bands such as SHONEN KNIFE or SLEATER KINNEY indicate KLEENEX/LiliPUT as one of their influences. In 1983 ‘Off Course Records’ published a double CD with 46 KLEENEX/LiliPUT songs, which was re-released 2001 under the name ‘Complete Recordings (1978-81)’. In the postpunk / wave of KLEENEX/LiliPUT the influence of Dada is not only in the music audible, but at the latest on the cover of ‘Eisiger Wind’ quite obvious!